There is so much to say about this one individual that I’m not entirely sure where to begin. I am a total coconut when it comes to Thailand. I adore it completely, something Danny and I both share. 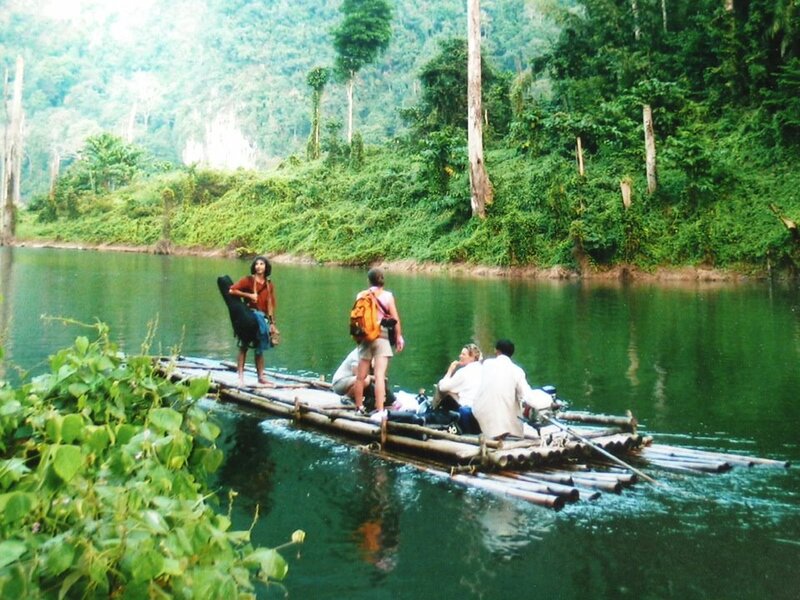 So I will begin by inviting you to take a look at this beautiful retreat that Danny hosts once a year in the jungle. An idyllic location away from it all where you can literally focus on the now, let go and embrace the natural abundance of nature and the vibrational motions that life is made of. 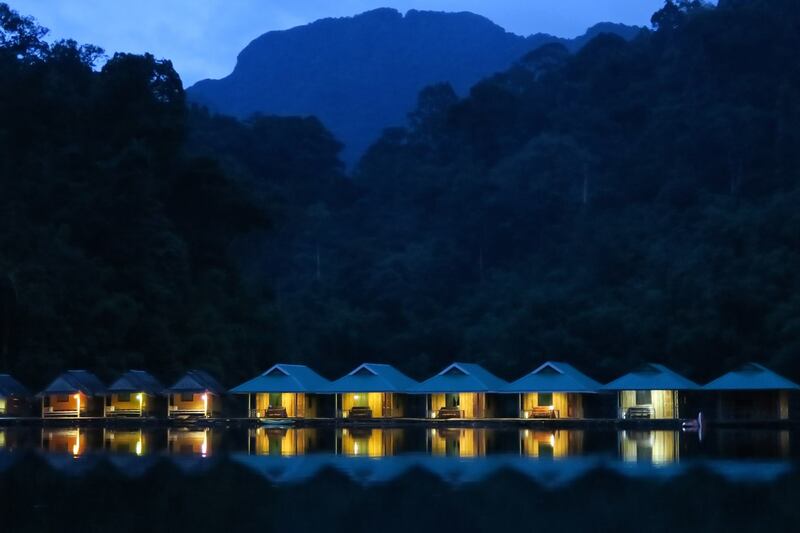 PRAIWAN RAFT HOUSE The floating bungalows are nestled in Klong Long Wildlife Sanctuary, which is a part of Khao Sok National Park. The park’s lake pier is located about 2 hours by car from Phuket, Koh Samui, Krabi, Railay Beach and 1 hour from Surat Thani. 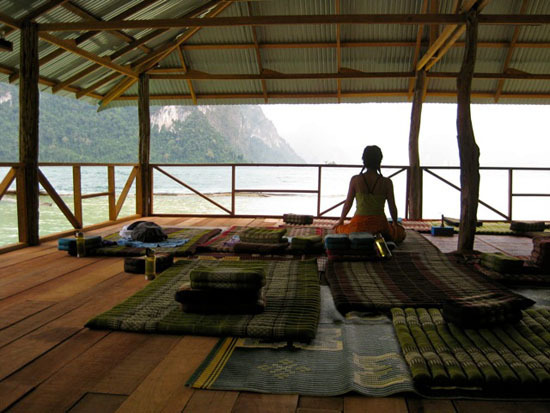 It starts on January 29th 2017 http://www.jungleyoga.com or follow them on Facebook Places are limited for this little piece of paradise with Danny Paradise… So it is recommended you book this sooner rather than later to avoid any disappointment. For more information on this retreat please do get in touch or just go direct to Danny’s Facebook page or the retreat to reserve your place. Danny has taught Yoga in over 40 countries for over 37 years. His life had been fully immersed in Ashtanga Yoga for at least 10 years and on meeting Graham Nash, Sting and so many other people, Danny helped to introduce Ashtanga Yoga into so many communities in the USA, Canada, Europe and Asia. What I am bringing you to is a song that Danny has put together with a fantastic team of musicians and animators and this track is dedicated to raise awareness to the charity “Children Of The Forest”. The song is called “Love Will Rescue You”. Matthew Kelly co founder of COF was invited to give a presentation at the United Nations in New York about ‘Children’s Rights World Wide’ and used this track to put forward what he was trying to say. “Since I am a songwriter and visual artist I had an idea to go back to Children of the Forest and film a music video to a song I had written. The following year we came up with the idea to do a documentary on the Children of the Forest as well as the dangers that the children face in the region from networks of Traffickers and criminal gangs. Matthew and Mary decided to finance a week long investigation and filming with a Director named Cathy Pearson who was a Yoga friend of mine as well as two Cinematographers. One was Diego Barraza who was based in the UK. I knew Diego and liked a film on Yoga that he had put together called “Part and Parcel”. Also Cathy brought a brilliant Cinematographer that she worked with named Andrei Jewell who lived in Thailand. The excellent Irish Director Cathy Pearson, a Yoga friend of mine who won awards for her documentary ‘Get The Picture’. Financed by Matthew and Mary Kelly and Amicus Foundation, we all went to Pattaya in Feb 2015 to interview and film the life work of an amazing man named Khun Jaa who had been fighting traffickers in that area for 25 years. He had been involved in thousands of investigations and had personally rescued many children. He had also been shot 3 times and was under constant threat from organized criminal gangs of traffickers. Khun Jaa has a compound outside of Pattaya where he takes care of 40 children he has personally rescued. He houses and feeds them as well as makes sure they are educated and protected. We interviewed Khun Jaa and heard endless stories of the dangers that these children face from sexual predators (mostly European and North American) and local criminal gangs wishing to kidnap them for forced labor or prostitution in Thailand. Khun Jaa’s place is called the ‘Anti Human-Trafficking and Child Abuse Center’ (ATCC). After 3 days with Khun Jaa filming his work and stories we went off to Children of the Forest to film there as well. I had written a song a few months before about the situation as I understood it from my visit the year before. I had begun recording it and Matthew and Mary heard it and really liked the lyrics and music. Shortly afterwords Matthew and the founder of Children of the Forest – Daniel Hopson – were invited to give a presentation at the United Nations in New York about ‘Children’s Rights World Wide’. Matthew decided that we could do a film with my new song (Love Will Rescue You) as part of the presentation at the UN. I had the idea that the beginning of the film should be animated because of the horrific things that children face through these networks of Traffickers – images that are too difficult or graphic to show with live film… I suggested to Matthew and Mary that we invite my old friend the artist Céu D’Ellia from Brazil to do a script and see if we could somehow link an animated section of the film with live footage from Children of the Forest. Danny, you are an inspiration to us all. Thank you for what you have done, what you do and what you continue to stand for. For more on Danny Paradise and his retreats check out: http://www.dannyparadise.com Or look him up on facebook. To book his Thailand jungle retreat get in touch for more info ASAP to avoid disappointment. We can help with flight recommendations too so please get in touch for more info. Danny will also be taking part at the Thailand festival Wonderfruit this coming December 2016.